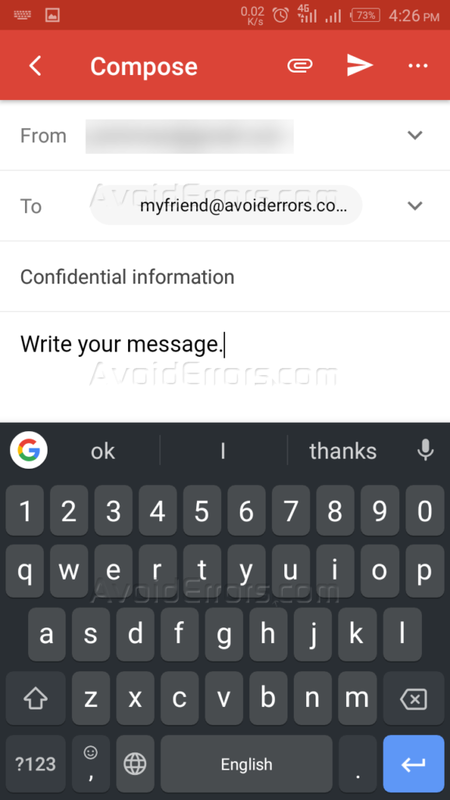 In this article, I will explain how we can send confidential emails via Gmail App, Google has recently introduced a new feature to send a confidential email so that they wouldn’t be accessible until you have passed all the security requirements of the email. Confidential mode helps you to ensure the sharing of your email only with the relevant person. This feature is available for iOS and Android both operating systems but it’s not available for GSuite users as of now. 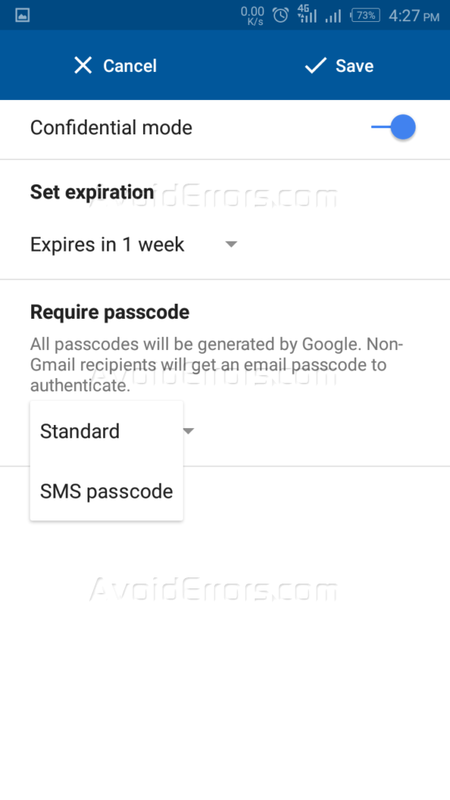 Follow the following steps to send a confidential email using Android OS, the same applies to iOS. 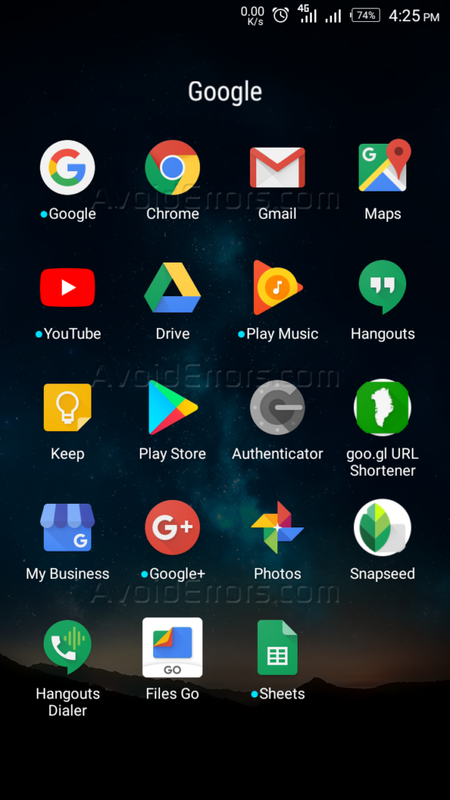 Tap to open your Gmail app. 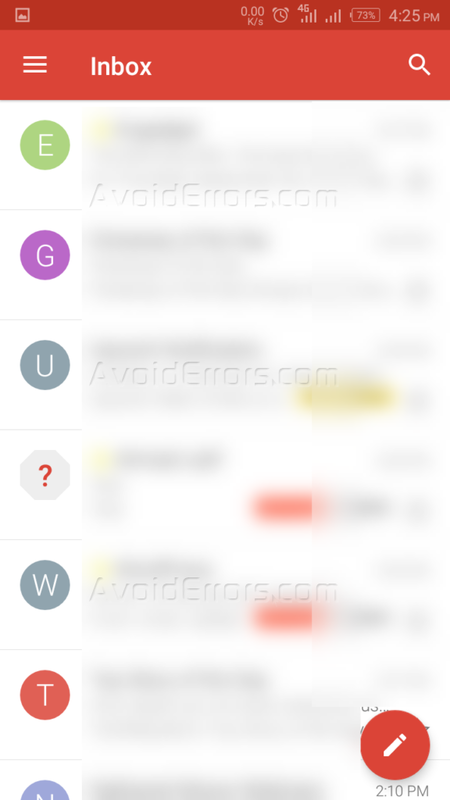 Once opened, tap on the pencil icon (compose icon) to compose the email. Now compose your email message, enter the recipient email address, write the subject of your email and your message. Now tap on three dots at top right corner and then tap on Confidential mode. 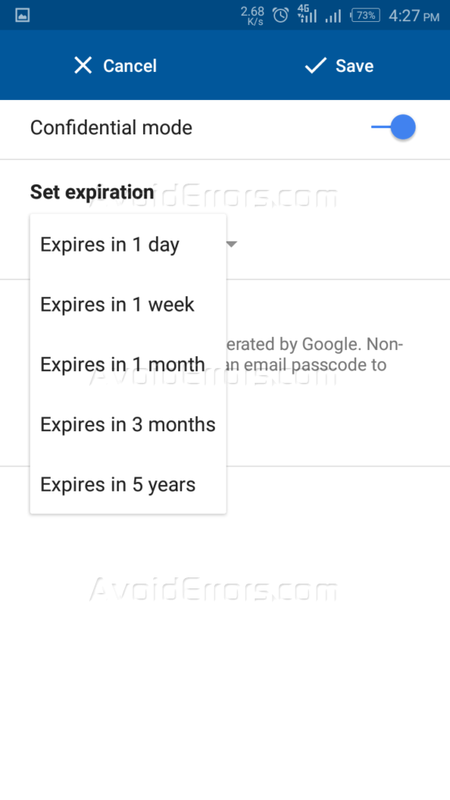 Now you will have confidential mode applied on the email that you are composing, Set the expiration date of the email. 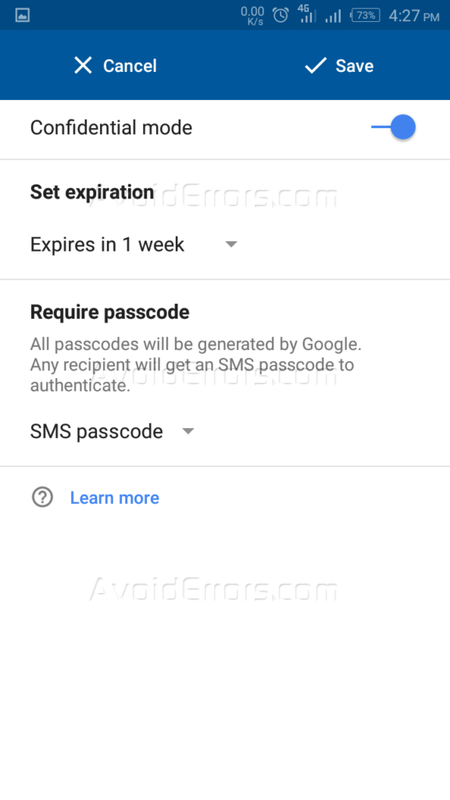 Then set up the password, if the email recipient is Gmail user he/she will receive a pass-code via SMS or other domain users, they will get a passcode in a separate email. Once all settings have been done, tap on Save on a top right corner. 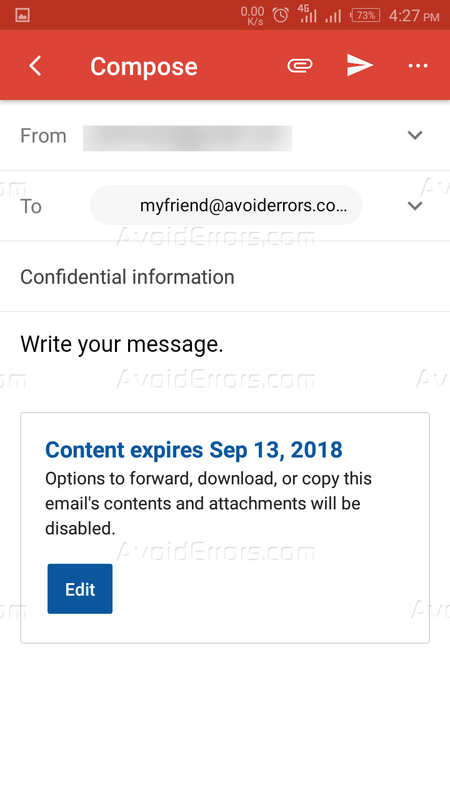 Now your email will have extra content providing you the information about your confidential emails like options to forward, download, or copy this email’s contents and attachments will be disabled. 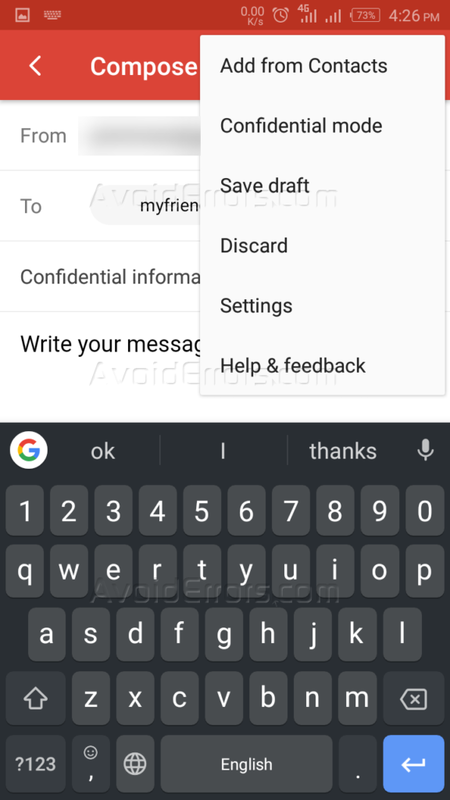 Once you are all set, tap on the send button. Your confidential email has been sent to the recipient and will expired and disappeared at the time of expiration.